News on all the blogs today is about Khurasan temporarily closing up until (fingers crossed) Autumn. This is sad news for gamers wanting to buy some of the best 15mm minis on the market, but hopefully everyone will just save their pennies and then go nuts when they re-open. I wish Jon the best of fortune in the meantime, and will hopefully be taking delivery of some cool new release goodies to paint, ready for the website when it goes live again. 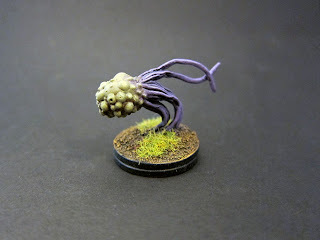 So in honor of Khurasan , here are some eldritch horrors I painted at the weekend. 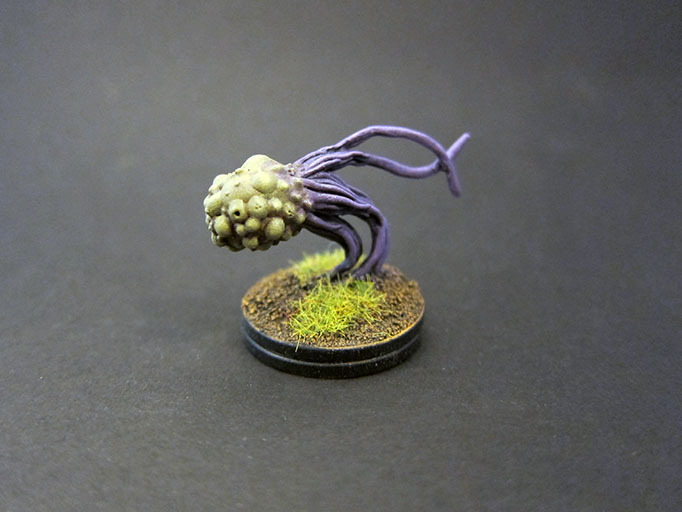 While these minis were originally released for the Eldritch Horror (Cthullu mythos) line, they were also marketed in the sci-fi range. I think they are terrific for any era that requires unspeakable gross ...Things. I will happily utilize these guys are atomic mutations or alien freaks as well as things from beyond. The paint job was very simple. GW Gretchin green, Ogryn flesh wash, then Vallejo purple or dwarf flesh for the various wiggly bits. Highlighted very simply with a bit of white added to the base color. The color scheme was chosen to tie in with my Octopus God. 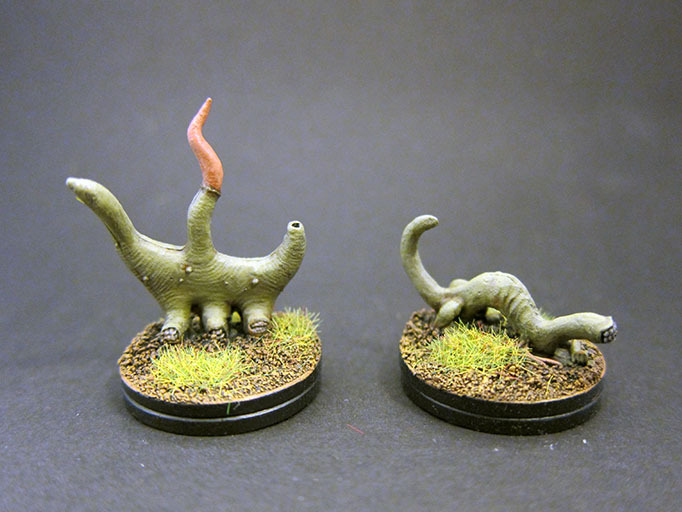 I based these models on pennies, as they were a tiny bit too large to fit on my usual 20mm plastic bases. At the last minute I added a second penny to bulk them up to the height of my other minis. I'm regretting my haste now, because the join is clearly visible (it's worse in the photo.. Of course). I may fill it with putty at some point.. But maybe it's fine as-is. I love the one in the second picture, really good. Well, damn. This is the first I've heard of Khurasan's temporary closure. I'm glad that I got a fair-sized order in with them a week ago. (I delayed on getting some of their space bee aliens, though. Regret that now). KP- from what I understand, they are still shipping existing orders, just not taking new ones. Check the site for details. Looks great! I especially like the eye creature in the first picture and the floating one with the tendrils. I'd been delaying for a couple months what I know will be a large order with Khurusan- just been trying to finalize decisions. When they open the store back up I'll be making a large order without a doubt. yeah the floaty tendrills is good, sad about Khurasan, I was going to put in another order this Friday, CMG will benifit for now. 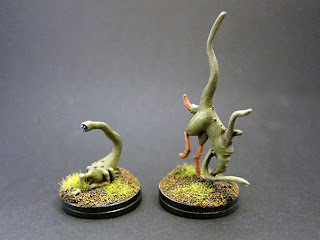 Does anyone do any 15mm gaming using the Strange Aeon's rules by Uncle Mike?